The VX 520 delivers performance, reliability and long-lasting functionality. Faster checkout speeds allow you to complete more transactions and get consumers on their way more quickly. The countertop unit is designed for easy use and includes a backlit screen and keypad for all lighting situations. THE VX 520 IS EVERYTHING a countertop device should be. 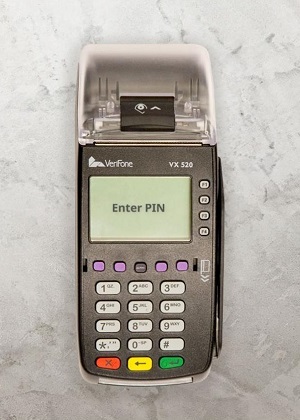 Delivering unprecedented performance, lighting-fast speeds, and uncompromised security, this power-packed payment device works hard so you don’t have to. The VX 520 comes with the choice of dial-up or ethernet connectivity, as well as an optional battery. A comm port area underneath the device keeps countertops free of clutter. The VX 520 operates at lightning speed thanks to a powerful processor and expandable memory. Integrated NFC/CTLS capabilities support alternative payments, as well as apps for loyalty programs and gift cards. Call 866-474-4144 Opt. 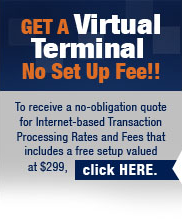 2 or email us at info@veritransllc.com today for your free consultation. Verified Transaction Systems, LLC is a registered ISO of Wells Fargo Bank, N.A., Concord, CA.